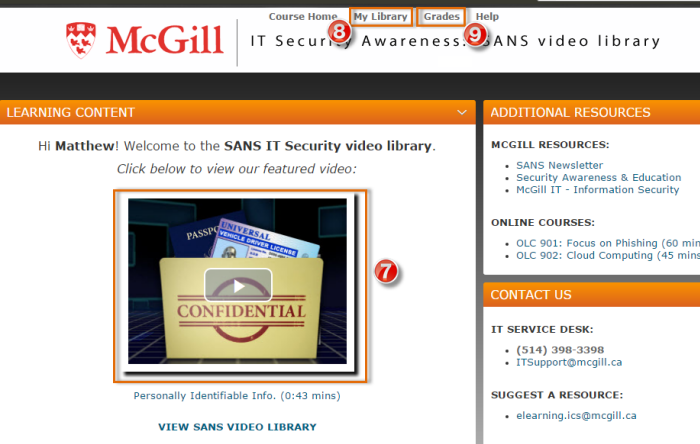 The SANS Video Library is a security awareness program for all faculty and staff. 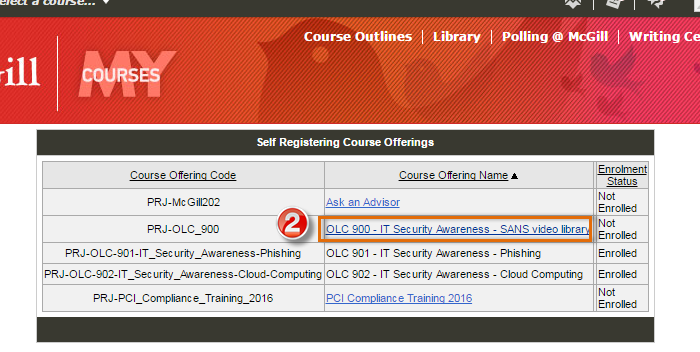 This self-paced course includes a set of short educational videos, newsletters and quizzes on IT security. Each module identifies key behaviors that increase security risks to an organization and how we can address them. 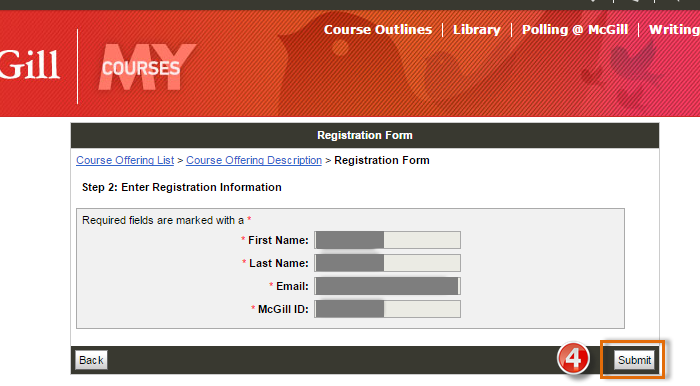 using your McGill email and Password credentials. 1. 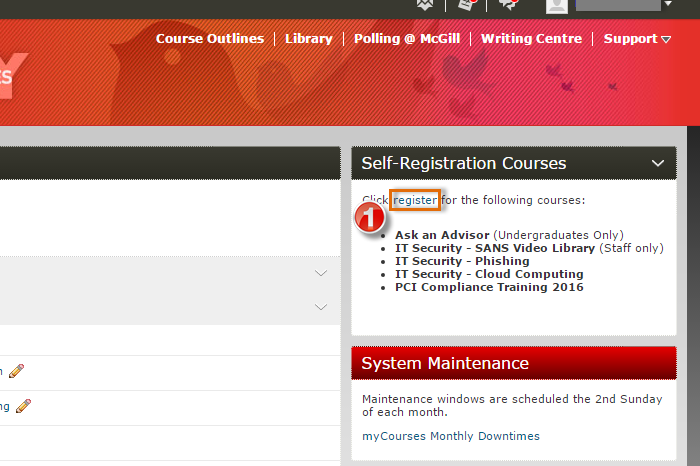 Click Register in the Self-Registration Courses area located on the right-hand side of the screen. Note: the exact location of the area may vary depending on your myCourses role – you may need to scroll down a bit to see it. 2. 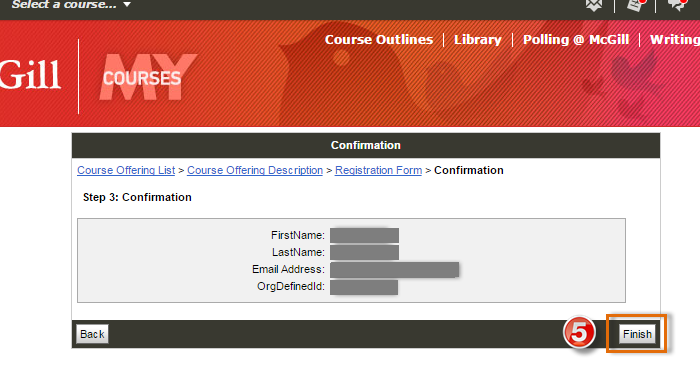 Click on the course link (i.e. 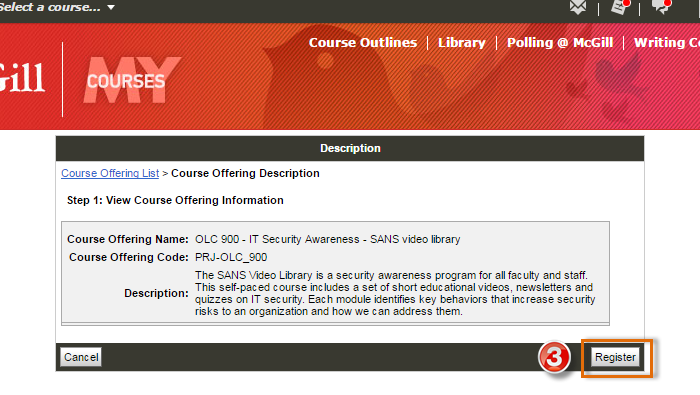 OLC 900 - IT Security Awareness - SANS video library). Headphones or speakers are required. If you don't have time to complete the course in one sitting, you can leave at any point and come back later to continue.